Evan Shanks is a true car lover who does a ton of great work from home. We love that Evan gets into the technical side of things while never losing sight of the fun side. And when he has fun, we have fun. A few minutes on his channel will show he's not just an all-around awesome guy: He's also an incredibly smart mechanic who does things the right way. He keeps things entertaining with little asides and the occasional dog-related photo bomb. Nevertheless, all that wheel, brake, exhaust and turbo work is 100% gearhead. For a while, QuickJack proved to be the ultimate asset, as he was regularly going up into the shocks, installing bigger brakes, making things louder (or quieter), etc. 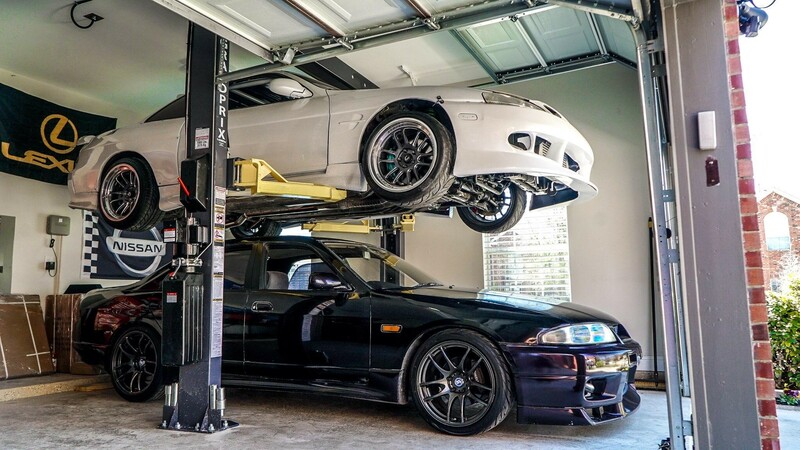 He would occasionally drop by his dad's garage to use the car lift there, but in 2019, he got a BendPak GrandPrix two-post lift of his own. We made sure to get him the right model for his garage: a GP-7LC, which fits under a 10-foot-high ceiling. Whenever a YouTuber gets a new lift, it's a big deal for them and their followers. It's a sign that business is good, and bigger, better projects are on the way. We always love seeing a family-oriented approach to work, and Evan's earnest style is sure to impress anyone with a passion for DIY projects and loud, fast cars. He's deeply connected with his base, which means he sometimes gets away with going off-topic—sharing personal details some might never dare. But it's all part of who he is: honest, reflective and willing to open up and share his life with you. This is a great channel for anyone who wants to keep up with a car channel that includes more than a few genuine slices of life.